The share of equity-rich properties rose to a new high—26 percent of homeowners with a mortgage in the third quarter, according to ATTOM Data Solutions’ Q3 2017 U.S. Home Equity & Underwater Report. In the third quarter, there were more than 14 million U.S. properties considered equity rich, which is when the combined loan amount secured by the property is 50 percent or less of the estimated market value of the property. The number of equity-rich properties is up by 905,000 compared to a year ago, according to the report. Your home is your castle, and it is also a source of tax deductions. Yet, every year, Americans let these potential tax deductions pass by, not realizing how to take advantage of them. 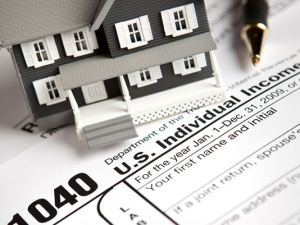 IRS Publication 530, titled “Tax Information for Homeowners“, can fill you in on the deductions that are available to you for the 2016 tax year. Several of the most important tax benefits are listed below. Mortgage Interest – This should be the largest home-related tax deduction that is available to you unless you purchased your home in the 2016 tax year. You can deduct interest payments on either primary or secondary homes, up to the limit of $1 million in collective mortgage debt if married and filing jointly. The limits are $500,000 for single filers or married couples filing separately. Points – Any points that you paid at closing to lower the interest rate on your mortgage are deductible. Generally, the deductions must be amortized over the life of the mortgage, but there are circumstances where you may be able to deduct the entire amount of your points paid in the year of purchase. See Publication 530 for details. Property Taxes – You can deduct real estate taxes that are assessed uniformly (no taxes that reflect a special privilege or a service granted to you). Property taxes associated with the purchase of a home may also be deducted. Mortgage Interest Credit – Typically, mortgage interest is taken as a deduction. However, if you have a qualifying low income, you can claim mortgage interest as a credit instead. This subtracts the total directly from your tax bill instead of from your taxable income used to determine your tax bill. To claim this credit, you must have received a qualified Mortgage Credit Certificate from a suitable state or local agency. File Form 8396 along with your tax form to claim your credit. Home Equity Loans – When you borrow against your home equity, either with a loan or a line of credit (HELOC), the interest may be deductible depending on how the loan is used, the amount of the loan, and the value of your home. Forgiven Mortgage Debt – When a bank decides to accept a short sale for less than the value of a home and forgives the rest of the debt, that debt is usually considered as taxable income. In 2007, Congress created the Mortgage Forgiveness Debt Relief Act to reclassify the forgiven debt as non-taxable income, saving already distressed homeowners from a huge tax burden. After being renewed several times, this tax relief measure expired at the end of 2016 and has not been renewed by Congress. However, the good news is that if you’re in the process of discharging mortgage debt and signed a written agreement with the lender in 2016, you’re still eligible for this tax exemption when you file your 2016 return. What’s no longer covered is any mortgage debt cancelled in 2017 or beyond. Check the IRS publications and see if any of these valuable deductions apply to you. Take advantage of every tax deduction that you can. Otherwise, the government simply keeps more of your money. The district attorney went back a few years here. Hat tip to daytrip! Two Santa Maria men have been charged with allegedly committing real estate fraud involving losses topping $500,000, the Santa Barbara County District Attorney’s Office said Thursday. Angelo Gabriel Naemi, 36, was arrested for suspicion of five counts of grand theft by false pretenses, and one count of conspiracy to commit grand theft. Steven Paul Gonzales, 61, was charged with one count of conspiracy to commit grand theft. The complaint also includes special allegations for aggravated white collar crime and excessive losses. The District Attorney’s Office investigated this case in conjunction with the Federal Housing Finance Agency, Office of Inspector General, Los Angeles Field Office. 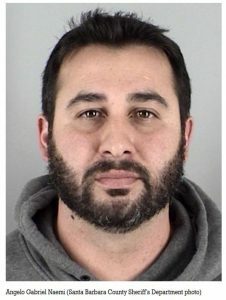 The allegations stem from deals spanning between 2012 and 2015 involving properties on the 1200 block of East Fesler Street and 1600 block of Chadwell Drive in Santa Maria, 800 block of West Fir Avenue in Lompoc, 300 block of Price Ranch Road in Los Alamos and the 500 block of Dawn Drive in Buellton. Naemi’s bail is set at $395,000, and he is scheduled to appear for arraignment in a Santa Barbara County Superior Court in Santa Maria on Thursday while Gonzales is scheduled for Dec. 30. Gonzales was never booked into the County Jail, according to the Santa Barbara County Sheriff’s Department, so no booking photo is available. Gonzales became sole owner of CornerStone Real Estate in Santa Maria in 2012 while Naemi is listed as a sales associate with the firm. After working as an engineer for Hughes Aircraft, Gonzales has been involved in real estate since 1988, the website says. 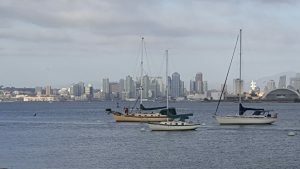 On his own website, Naemi states he moved to the Central Coast in 2004 from San Diego and previously worked in the Wells Fargo mortgage department before becoming a licensed real estate agent. Legislation that would have protected homeowners from being taxed on “phantom income” after losing their homes has been vetoed by Gov. Edmund Gerald Brown Jr.
State income tax law generally defines cancelled debt as a form of income. Under current law, those who foreclose on their homes are not taxed, but those who negotiate a short sale with their lender, or re-finance their home, are taxed by the state. Without the legislation to exclude cancelled debt, many Californians are essentially taxed on money they never received. The sponsor of the legislation, Cathleen Galgiani, D-Stockton, says she plans to reintroduce the bill at for the 2017-2018 sessions and plans to pursue the policy through the budget process as well. 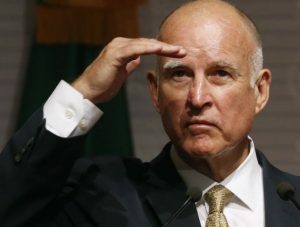 With the difficulty the state politicians had in reaching an agreement – and it’s not done yet, Moonbeam still has to sign it – this will probably be the last chance for over-encumbered homeowners to short-sell and avoid taxation on their debt relief. With less than four months left in 2016, maybe we will see a surge? A bill giving state tax relief to California homeowners who received modifications of their underwater mortgages, or engaged in short sales, was revived and enacted in the final moments of the state legislative session Wednesday night. After passing the Senate, the measure, Senate Bill 907, had been held in the Assembly Appropriations Committee earlier in the month, a non-action that is considered tantamount to death. However, the bill suddenly popped up and was passed on the Assembly floor very late Wednesday, then sent to Gov. Jerry Brown by the Senate just moments before the midnight deadline for the 2015-16 legislative session to end. While the federal government has exempted paper income from mortgage modifications and short sales – which mushroomed during and after the Great Recession – from income taxes, the state has only sporadically followed suit. 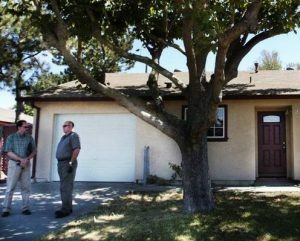 The Legislature approved a series of state tax exemptions for mortgage deals prior to 2014, but Brown vetoed a measure that would have extended tax relief to 2014 and 2015 income, citing the loss of state revenue. If signed by Brown – not a certainty – SB 907 will allow tax exemptions for 2014, 2015 and 2016 and affected taxpayers can file modified returns for the first two years. The state would lose an estimated $152 million in income tax revenue. California used to lead the nation in exempting mortgage-debt relief from taxation. But the latest extension of that law was defeated, leaving short-sellers and those being foreclosed in a prickly position – do they hang in there now? The reason the bill died is because Jerry Brown and other state politicians want to reap the additional tax – but these beleaguered folks can’t or won’t pay it and will have to hang on to their over-encumbered properties. Senate Bill 907, which had won unanimous approval of the state Senate, died in just a few seconds last week, and that angers Peggy Spatz. She and her husband, George, took out a $150,000 second mortgage on their modest suburban Sacramento home 11 years ago, only to see home values and their retirement investments crash in the Great Recession that struck shortly thereafter. Congress had declared that loan write-downs, short sales and other forms of mortgage relief would be free of federal income taxes. 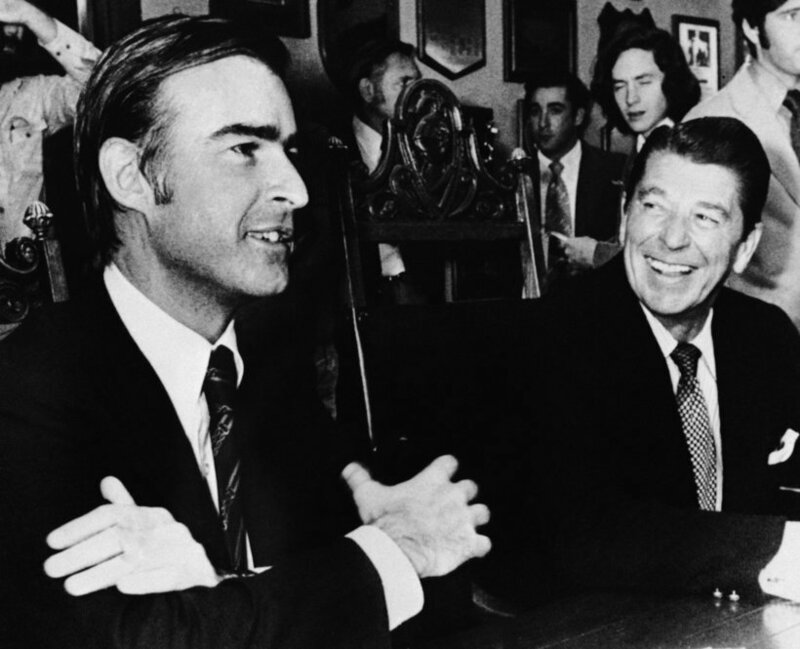 The California Legislature and then-Gov. Arnold Schwarzenegger followed suit for several years, extending relief through 2013. SB 907, carried by Sen. Cathleen Galgiani, D-Manteca, would have extended the tax break through 2016. She represents a region hardest hit by the housing meltdown and during one hearing cited her own underwater mortgage. The Spatzes hoped that with the Senate’s passage and a heavyweight list of supporters, including Attorney General Kamala Harris and real estate and banking lobbies, it would at least get to Brown’s desk. SB 907 never made it to Brown. Although it also won unanimous support in the Assembly Revenue and Taxation Committee, it was placed on the Assembly Appropriation Committee’s “suspense file” because of its cost – an estimated $95 million in lost revenue during its first year and $57 million in the next two years. Last week, the appropriations chairwoman, Lorena Gonzalez, announced the fate of dozens of Senate bills, spending just a few seconds on each. SB 907, she said, would not be sent to the Assembly floor. As is the custom, no reason for its demise was offered. But it probably had something to do with its heavy cost, more than 10 percent of the total for bills on the suspense file, and the strong likelihood that Brown would have vetoed it, as he had done in 2015. The new guy named Jeremy wandered into the discussion about short-sale fraud the other day, and found that long-time readers here don’t take kindly to scams – and scammers. But we’ve seen how short-sale fraud has run unabated, and that it has practically become a badge of honor among realtors. Nobody in the industry is motivated to stop it either. At the top of the last article, Jeremy’s friends were filing notices that mortgages were paid off when they weren’t, which is outright fraud. But the second half of the article mentioned the typical example of short-sale fraud, where a straw buyer purchases the property at a below-market price, and then spoons it to a waiting buyer who pays retail. The banks who got shorted on the first sale might have caught the fraud with better appraisals, or if they just had a strict policy. I’ll never forget the one case where the perpetrator caught wind of his own story here on the blog and left a his comment. He said they included in their contract to flip the house immediately to the shorted bank. They then flipped their short-sale buy on the SAME DAY to a retail buyer for a $100,000+ profit. If the banks have knowledge and turn their head, then it’s on them. A short-sale that’s fully furnished. The seller makes the furniture sale mandatory so he can squeeze some cash out of the deal – he sells the ‘furniture’ to the buyer for $50,000 to $100,000 outside of escrow, in exchange to agreeing to a low-ish sales price for the house. Usually these are cash sales only. Listing agent twists seller’s arm to take his buyer, rather than one of the two higher cash offers. I turned this one into VP of Fraud at the Bank of America, who said that because the lower price was still within their acceptable range, he’d let it go. There were the investors who approached naive listing agents and insisted on negotiating their own deal with the bank. If they could get the price approved low enough to flip immediately, they’d complete the purchase. Both short sale and REO investors engage in ‘reverse staging’ to make a property appear in worse condition than it is, including the removal of kitchen-cabinet doors, garbage left lying around the home, and sometimes old fish hidden behind refrigerators to create pungent scents. Sometimes BPOs include false property stigmas such as high crime rates, or claim the home was a meth lab that would need to be entirely gutted. Parents buying their child’s over-encumbered house as a short-sale. A favorite among realtors themselves. Thankfully most of these are in the rear-view mirror! They nailed these guys for fraud….but only 18 months in jail? This is more than your standard short-sale fraud, and I’m surprised this doesn’t happen more often. They just sent in a forged bank reconveyance showing that the mortgage had been paid (when it wasn’t), and then sold the property. 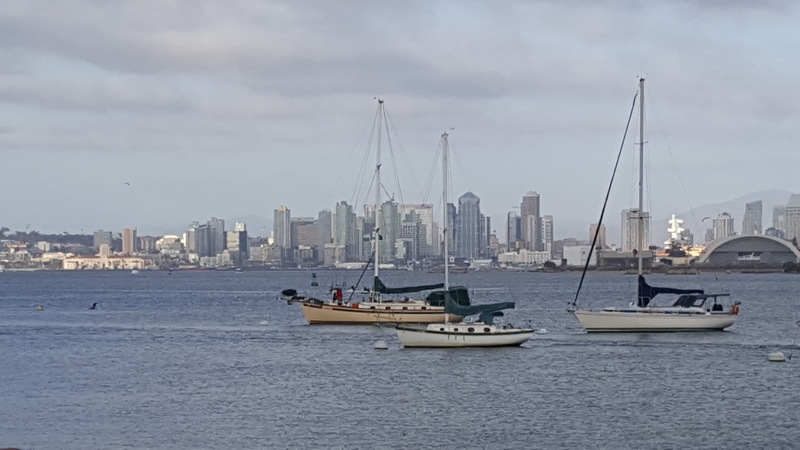 A Carlsbad real estate broker and his brother were sentenced Monday to prison terms for their roles in a fraudulent “debt elimination” scheme that purported to eliminate the mortgages on several million-dollar homes in Del Mar, La Jolla and San Diego. U.S. District Judge John Houston sentenced Adel Afkarian, 43, of Carlsbad, to 18 months in custody and Atef Afkarian, 41, of Slidell, Louisiana, to 13 months. In addition to the time in custody, the brothers were both ordered to pay more than $5.5 million in restitution to the victims of the scheme. To implement the scheme, the Afkarians identified underwater homeowners — including themselves — and began a process to make it appear as though the homeowners’ debts had been satisfied. To do so, they recorded fraudulent deeds that purported to extinguish the large mortgage loans encumbering each property. Working through entities known as The Better Mortgage Company and Elite Coast Realty, the defendants then sold the properties to innocent purchasers, deceiving the buyers into paying the full purchase price to the Afkarians or their co-conspirators. The mortgage lenders, unaware of the fraudulent documents recorded on title or unable to prevent the sale in time, were left unpaid. With regard to their own underwater home, the Afkarians pretended that $1.4 million in mortgage debt had vanished, prosecutors said. The defendants used the “debt elimination” method to successfully arrange the fraudulent sale of four properties, generating more than $4.3 million in proceeds which went directly into bank accounts of the brothers and their co-conspirators. In some cases, the brothers sold the fraudulent “debt elimination” program to existing clients of their mortgage business, according to prosecutors. In addition to the “debt elimination” scheme, the Afkarians also conspired to arrange fraudulent short sales for underwater clients through a simultaneous “double escrow” scheme. Rather than selling an underwater home at a pre-approved short sale price, the defendants arranged two simultaneous sales of the same property at two sale prices, using a straw buyer as the intermediary and purported seller in the second transaction. 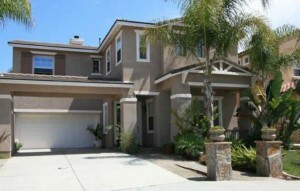 That way, the short sale lender would believe that the property was being sold for the initial first escrow price, rather than the higher second escrow price. The defendants and their co-conspirators would then pocket the difference, diverting money from the lenders. The Afkarians each pleaded guilty in September 2013. As part of their pleas, they also agreed to forfeit a home on Santa Fe Canyon Place in Torrey Santa Fe, which they had purchased using about $715,000 in proceeds from the fraud, and an additional $388,000 recovered from bank accounts where they had transferred proceeds. Harcourts was one of the Northern Nevada companies identified by a Reno Gazette-Journal investigation last year for engaging in quick-listed, dual agency short sales. The deals allow the same agents or firms to earn multiple commissions on the same property by representing both the buyer and the seller — at times “triple dipping” and earning a third or even fourth commission by being involved in the property’s resale as well. The practice also allows a pre-arranged buyer or investor to purchase the property far below fair value by blocking other offers for the property, which go pending with an approved offer the moment they are listed on the market. This allows an investor to resell the property just a few weeks or months later at huge profit, with some examples posting more than $100,000 in appreciation during the resale. According to the defense, the primary interest of the seller is to sell a property quickly to avoid a harder hit on their credit rating from foreclosure. Since the seller is losing the property, it does not matter if the house is sold at a lower price to a prearranged buyer. By failing to get the best offer, however, Decker’s team said that the deals did not fairly serve the interests of the mortgage lender. During the hearing on Wednesday, the defense countered that courts have ruled that the lender and homeowner are adversarial so the broker cannot represent both their interests. Instead, banks need to do their own due diligence to ensure a distressed property is being sold for the best price possible. Copyright © 2005-2015, Klinge Enterprises, A California Corporation. All rights reserved. CABRE #01388871, CABRE #00873197, CABRE #01889890.